The widely expected NVIDIA Maxwell architecture has been officially launched by GPU maker NVIDIA with two new products based on the new architecture hitting the market – the GeForce GTX 750 and GeForce GTX 750 Ti graphics cards. NVIDIA is especially proud to debut the GeForce GTX 750 Ti – the new 3D card is two times faster than the GTX 550 Ti when working with 1080p resolutions while requiring two times less power. The card also runs only on power supplied by the PCI-E slot it is installed in and comes with a decent price, which makes it an ideal upgrade for mid-range computers. 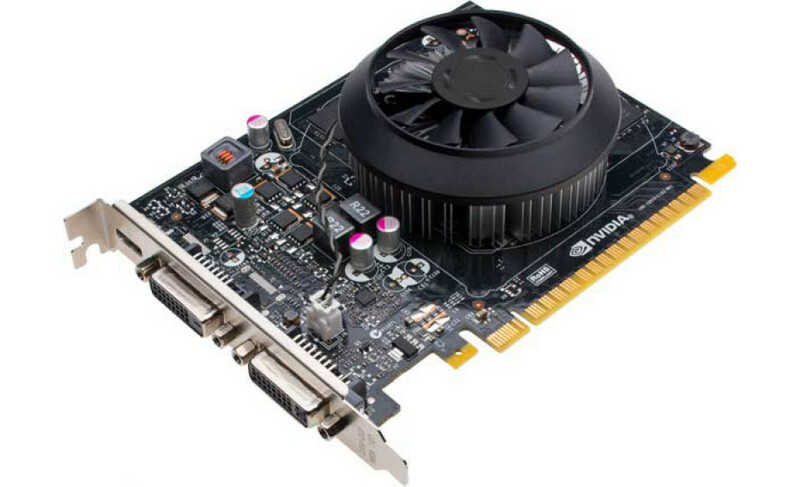 The GTX 750 Ti comes with 640 CUDA cores at 1020 MHz (1085 MHz Turbo). The card has either 1 GB or 2 GB of GDDR5 memory accessed over a 128-bit bus, with the memory running at 5400 MHz. The reference model has Dual Link DVI-I, Dual Link DVI-D and mini-HDMI ports. The card needs 60 watts of power. The GeForce GTX 750 differs from the GTX 750 Ti by three things only – it has 512 CUDA cores, the memory runs at 5000 MHz and it needs 55 watts of power. Both cards are available now – the GTX 750 sells for around USD 119, while the GTX 750 Ti starts at USD 139 for the 1 GB model, while the 2 GB model costs USD 149 and up.